Welcome to a life of crime. Here we have five girl thieves. They populate a variety of novels: two contemporaries, two paranormals, one futuristic dystopia. These girls are good at what they do. Maybe a little too good. When Grace was adopted she became an integral part of the family business: theft. Grace's parents are con artists. Their marks are the Fairchilds, and Grace's job is to get close to Logan, their only child. But the lies are starting to wear on Grace who feels like she leaves a bit of herself behind with every con and every move. I thought that her inner conflict was very believable. This is the only family Grace has ever known, and she feels compelled to keep it together, but she's beginning to question their way of life. Michelle Zink's series opener is a quick read, and when the pieces start to fall, they fall fast. 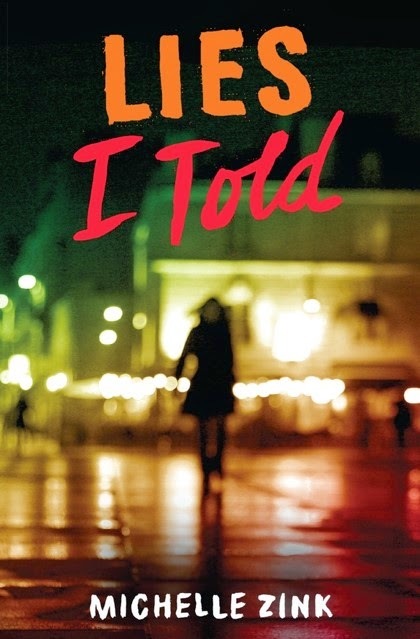 Lies I Told is out April 7th, 2015. Review copy from Edelweiss. Mare Barrow is a Red in a world with super-human Silvers reign. She lives a day-to-day existence in a Red slum thieving to get by. Through a series of tragedies and coincidences, Mare finds herself working in the palace where it's discovered that she has extraordinary powers of her own. Suddenly, Mare, a lowly Red, is a huge threat to the Silvers, who, in order to cover up Mare's powers, bring her into their world. And it is a dangerous world, indeed. There's so much to love in this book: superpowers, a dystopian setting, court intrigue, rebellion, and fabulously complicated princes. Red Queen is Victoria Aveyard's debut novel, and it has been getting a ton of well-deserved buzz. 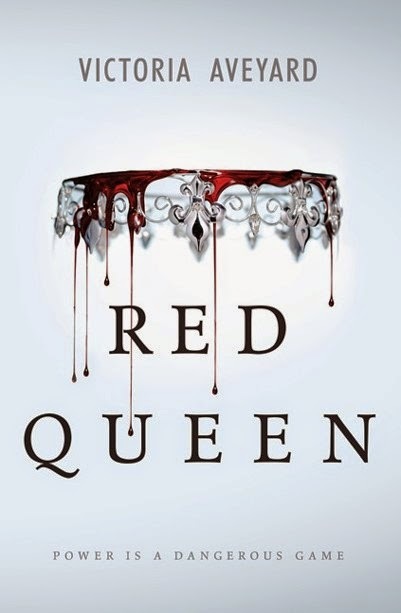 Red Queen was out February 10th, 2015. Full feature here. Echo's adopted family is the Avicen, a race of winged-beings that live under the city of New York. As the ancient war between the Avicen and their age-old enemies, the Drakharen, heats up, Echo is sent to find the legendary Firebird, for it is said that whoever has the Firebird has the power to end the war. Echo's humanity and her experience thieving make her the perfect person to seek the Firebird. Melissa Grey's debut novel reminded me of Daughter of Smoke and Bone and The Burning Sky. I enjoyed the romp around the world and Echo's little band. However, I was rather disappointed with the ending of The Girl at Midnight which felt both too convenient and too implausible. 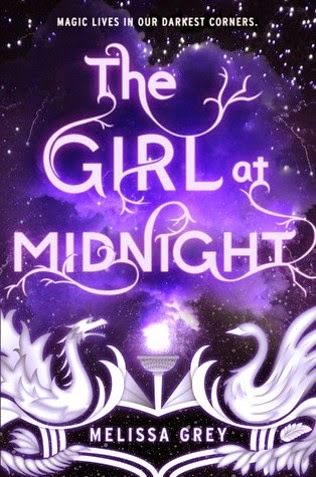 The Girl at Midnight is out April 28th, 2015. Review copy from NetGalley. Kayla is supposed to be invisible--keep her head down, fly under the radar, and never, ever use telekinesis. Unfortunately for her mother, Kayla has become quite proficient at using her magical mind to steal. Daniel, who has special powers of his own, appears in her life one day and begs for her help rescuing his mom, beginning the adventure of a lifetime. Sarah Beth Durst's paranormal world is filled with great characters. (Kayla's mom, Moonbeam, who is mascarading as a hippie, and her best friend, Selena, are among my favorites.) I enjoyed traveling the world with Kayla and Daniel and I really liked the ending of Chasing Power. There were a few times, however, when I wanted to scream into the book and tell Kayla to talk to her mom, but as I said, it all worked out in the end. Chasing Power was out in October, 2014. Katarina Bishop was raised by thieves to become a thief, but she conned her way out of that life, determined to become respectable. When Hale, a friend from her old life, comes to her, she knows she has to complete one last heist to clear her father's name. I've always enjoyed a good heist story, particularly the part where the audience finds out just how it was pulled off. Ally Carter pulls it off with a quirky band of teenagers, and I loved watching them work. 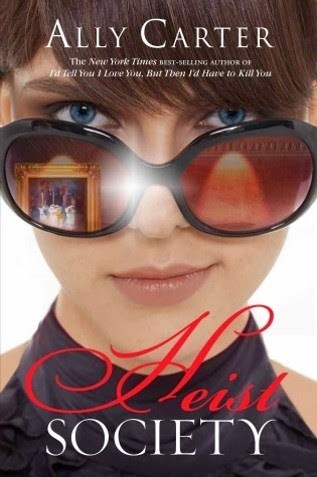 Heist Society is a fun, edge-of-your-seat read about a fearless teenage criminal mastermind (or two). Lies I Told, Red Queen, and The Girl as Midnight reviewed by JoLee. 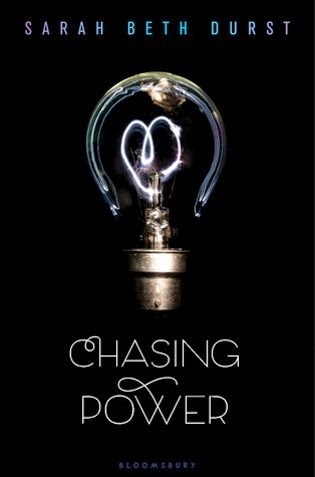 Chasing Power and Heist Society reviewed by Paige.